Monday morning may not be everyone’s favourite time of the week but there’s a buzz around the Anicca Digital office this morning as we’ve been shortlisted for seven, yes that’s SEVEN, awards. 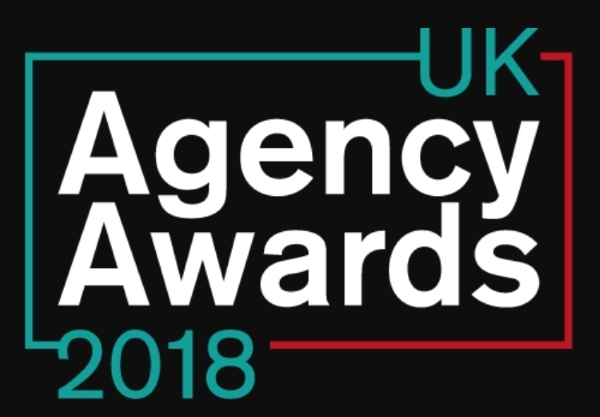 Now entering its fourth year, the UK Agency Awards are a relative newcomer to the digital awards scene and are open to all creative, design, digital, marketing, advertising, media and public relations agencies that are based in the UK. Anicca Digital has been shortlisted for four awards with the winners being announced on the 13th September at a lavish awards ceremony in London. The Best Integrated Campaign prize is awarded to the best campaign that uses a multi-channel approach. In this category we’re shortlisted for our PPC lead campaign with Switch My Business, a leading business utilises switching service. The case study is currently being written and will be available on our case studies page soon. Our work with Switch My Business has also been included in the list of finalists in the Best New Business Campaign too. This incredibly competitive industry operates on very small margins and required a highly sophisticated campaign to deliver how values leads at the right costs to the business. The Small Digital Agency of the Year award is given to the best agency with up to 25 staff. With Anicca Digital’s head count currently sneaking in at this cut off we’re delighted to be included in the category alongside some other great smaller agencies. Whilst not solely a B2B specialist, Anicca Digital does have a large client base from this sector including the likes of Switch My Business, Experian, Domino Printing and Pall-Ex. We’re delighted to be recognised for our B2B expertise and delivering highly successful B2B campaigns across a wide range of sectors. The Leicestershire Business Awards 2018 are run by the East Midlands Chamber and have equivalents for both Derbyshire and Nottinghamshire too. Winners will be announced at the Gala Dinner, taking place on 21st September at Athena, Leicester. Anicca Digital was runner up in this category in 2017, losing out to Brightbridge Solutions, but this hasn’t stopped us being a finalist again in 2018. The competition once again looks strong but it would be a huge honour to be recognised as one of the best small businesses in the county. Customer service is hugely important to us so to be recognised for our excellence in this field is a proud moment for our agency. Taking home this award would be as a result of the hard work from every member of our team in looking after our customers with the highest level of service. Ann has previously won the 2016 Business Woman of Year award at the Leicester Mercury Women in Business Awards so it’s no surprise to see her nominated in this category. Over the last 11 years Ann has taken Anicca Digital from nothing to now being the largest digital marketing agency in Leicestershire. The culmination of this has been the recent purchase and move to our own office based in Woodgate. We’ve fingers crossed that we’ll be adding some of these other awards to our trophy cabinet so keep your eyes peeled in September for announcements!